When the living epitome of the burlesque beauty teams up with the most renowned makeup label, we know that something big is about to happen. Mac Cosmetics has collaborated with Dita Von Teese, creating the perfect holiday makeup line, which is due to be released online and in stores next month. 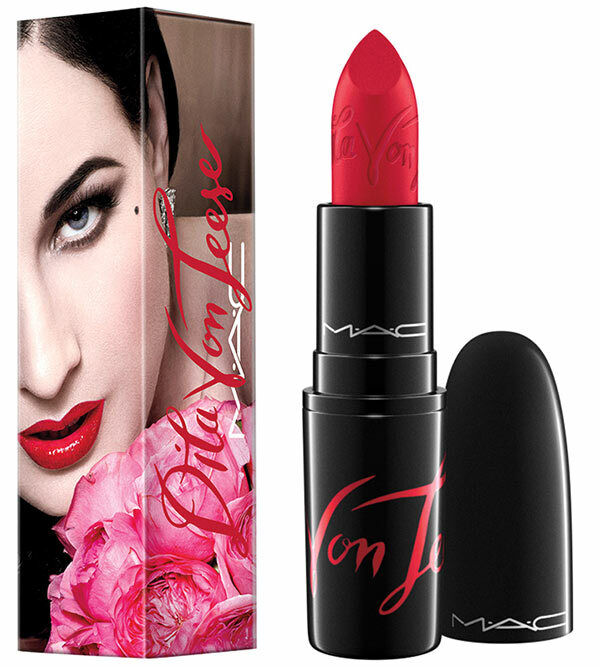 The Dita Von Teese x MAC Cosmetics makeup line is all about the celebrity’s signature red lips, featuring the perfect product you will love to receive or give to your friends this Christmas. It is the first time ever that the 43-year-old actress, model, and show girl has worked on creating a signature lipstick with the brand, despite having already teamed up with MAC for its 2006 and 2007 Viva Glam campaigns (just in case you missed it, Viva Glam’s next celebrity is	Ariana Grande!). Inspired by the launch of her new book	Your Beauty Mark, which will be available for purchase in December 2015, the femme fatale reunited with the MAC family just in time to give birth to a pink-based matte red lipstick bearing her name. Such collaboration is extremely interesting for multiple reasons. Even though Dita did already create a limited-edition makeup collection with the German-based Artdeco in 2012, this Dita Von Teese x MAC lipstick line is a one-of-a-kind collaboration. The first reason is the unconventional vintage turn that Dita will add to the label. Then, it is also appealing to watch a well-known artist, who has gained a reputation for doing it herself (for example she dyes her hair at home and does her own makeup for important events), create and then share such an intimate part of her artistic work with such an international company.